These women are revolutionizing the wine industry, one heavily-poured glass at a time. I’ll never forget the first time I drank wine. It was a hazy summer night and I was surrounded by the strong, colorful black women in my family. I was heading off to Atlanta in a couple of days to start my undergraduate journey at Clark Atlanta so the night was well-needed and almost a necessity. As the women joked and sipped their wine, I grew curious. I wanted to see what all the hype was about. So, I did it. I took a hearty sip of the crisp white wine they were drinking. That action was immediately followed by a gag. With a frown on my face and an after-taste on my lips, I vowed I would never drink wine a day in my life. Flash forward seven years later and I’m one of the biggest wine enthusiasts you’ve seen thus far. I pour up without a second thought. Responsibly, of course. The clink of my wine glasses and that intense glug-glug-glug sound after a long day of adulting is a feeling unmatched. It’s a unified easing that many of us can relate to. That’s why when I hear about black women producing their own libations, it brings a smile to my face. The five winemakers listed are some of the world’s latest and greatest, pushing an existing market forward with new faces and stories. Check them out! Ntsiki Biyela, South Africa’s first black female winemaker, is no stranger to award-winning wine labels. From production of premium labels at Stellenbosch&apos;s Stellekaya winer, to her own endeavors, Biyela is a true pioneer of the South African wine industry. 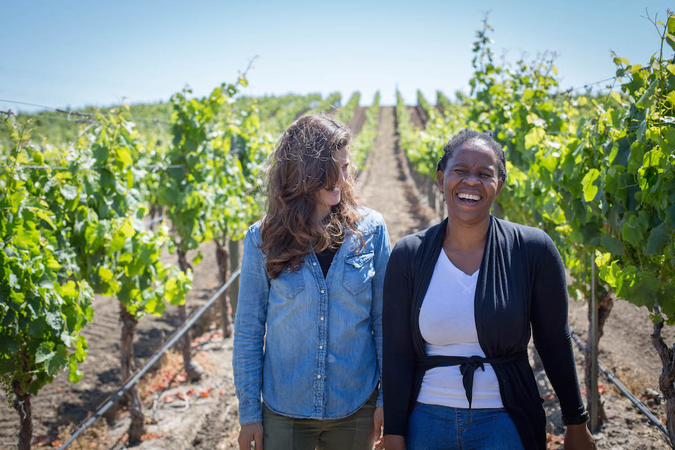 Translating to “unite” or “stitch,” Suo, is a collaborative project between Ntsiki and Napa Valley wine winemaker Helen Keplinger. The duo combine their knowledge and love of wine to “make the wine world smaller, highlighting exchange, and inspiring wine lovers everywhere to discover something new." Robin and Andrea McBride are sisters with quite an interesting story. After learning of one another’s existence almost 20 years ago, the women have teamed up to share what they know about winemaking and a good glass of wine. They want wine lovers to not only bask in the rich flavor of their wines but also to embark on the “rare opportunity to marry a strong emotional story with truly exceptional liquids." This historic New Orleans vineyard has received a lot of praise in the last few years. Estate owner Iris Rideau has been featured in many publications and won many awards for her vineyards, garnishing the Best White Wine award at a Los Angeles fair years ago. She hosts events like dinners and wine pairings frequently at the vineyard with a nod to her Creole roots and comforting spirit. Her Cellar Club has become a coveted membership community within the New Orleans area. The Silkbush Mountain Vineyards exceeds average expectations. Run by Selena Cuffe, an activist and savvy businesswoman, Silkbush is an experience all in itself with wildlife roaming naturally, beautiful landscapes surrounding the area and a winery that has attracted plenty of attention. 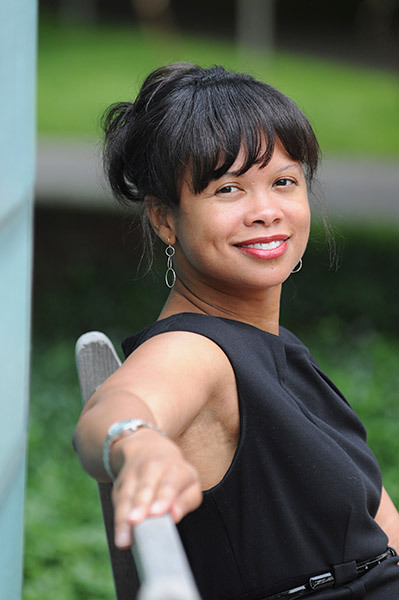 Her company, Heritage Link Brands, is the largest wine importer and producer of African descent in the world. The winery focuses on the relationship of nurturing one’s spirit and nurturing the grapes used to produce a soothing glass of wine. House of Mandela is very socially-responsible, using only fair trade practices when producing and “embodying the philosophy of corporate conscientiousness”. Not to mention, it is run by Maki and Tukwini Mandela, who are of direct lineage to the late Nelson Mandela.